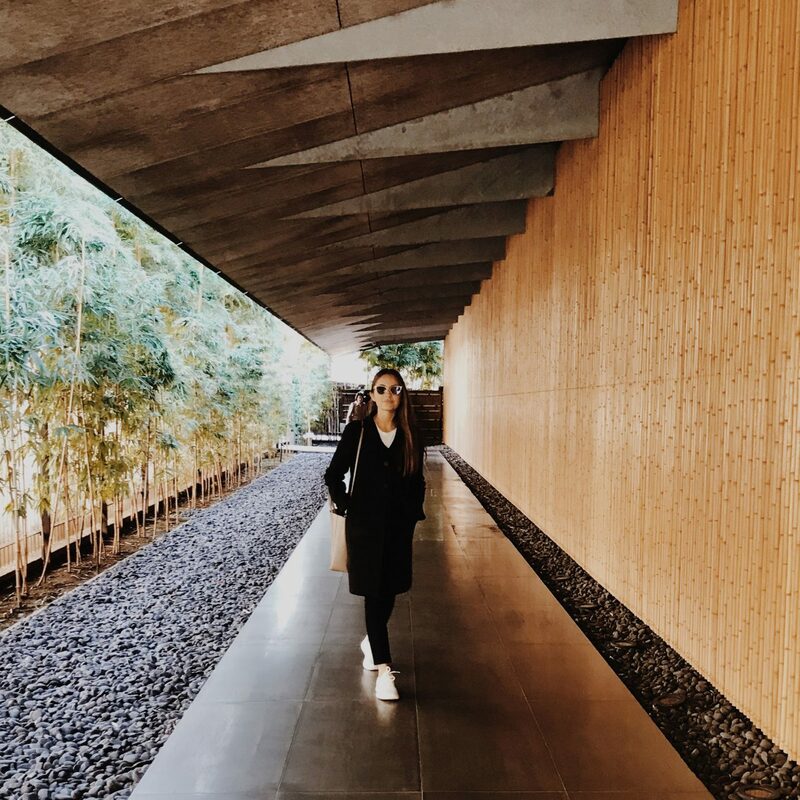 The principles of wabi-sabi, the beauty of imperfection and natural aging, guide the modest Japanese aesthetic, with architecture and interior design often defined through clean lines, natural wood, and an overall stark style. 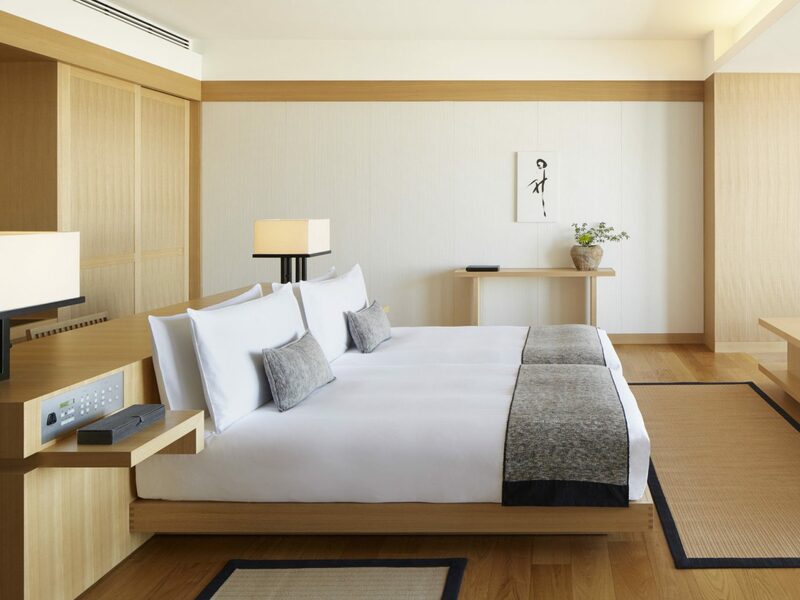 Traditional Japanese inns known as ryokans, which originated around the 17th century, offer one of the best structural representations of ancient Japanese design, and today many hotels in Japan’s capital derive inspiration from those ancient dwellings. 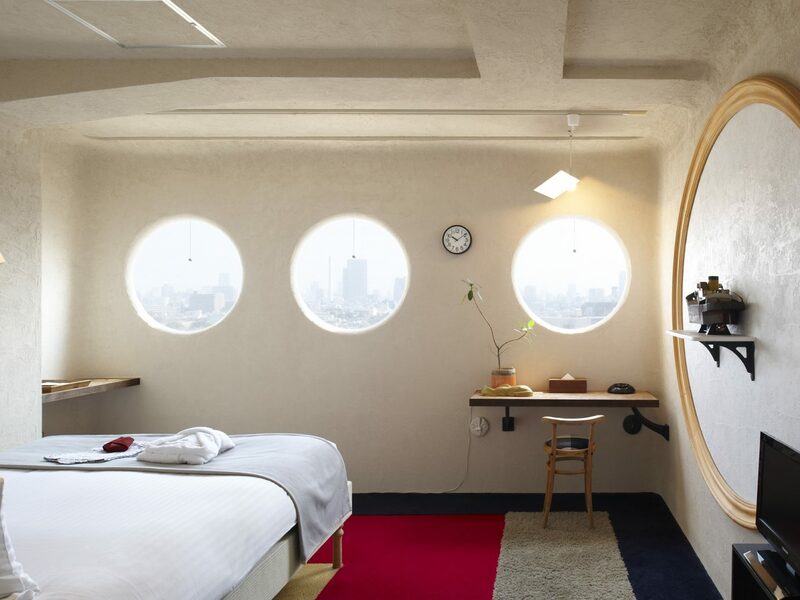 Below, our top picks for the best boutique hotels in Tokyo whose interiors look back to look ahead. 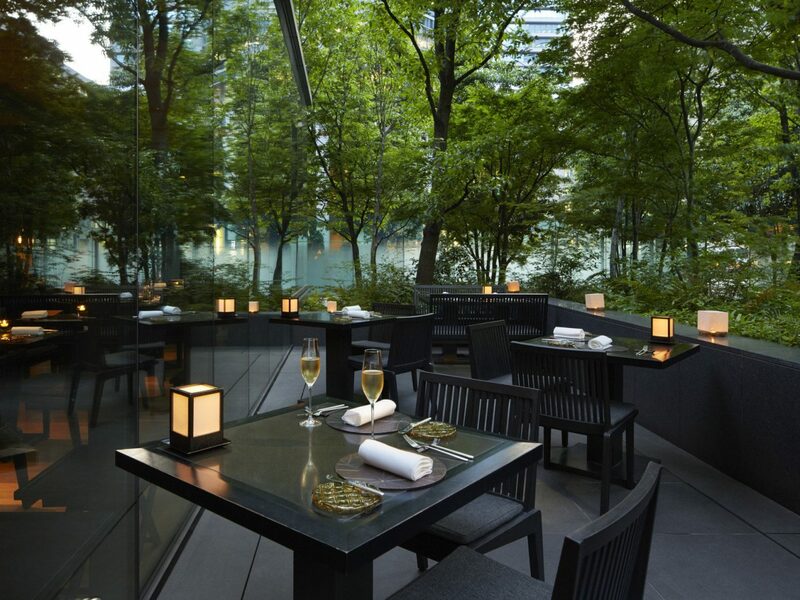 Four years ago, one of the world’s most beloved luxury hotel brands Aman Resorts marked its foray into Japan’s capital with Aman Tokyo, which claims the top six floors of a 38-story building in the city’s Otemachi business district, conveniently located near Tokyo Station. 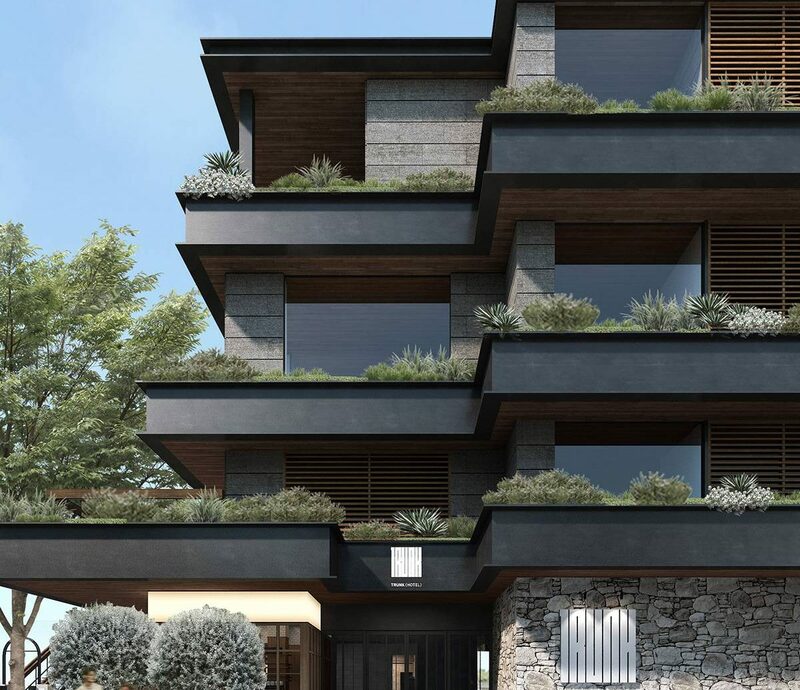 Inspired by traditional Japanese residences, the 80-room retreat is defined by its natural materials and flowing spaces. 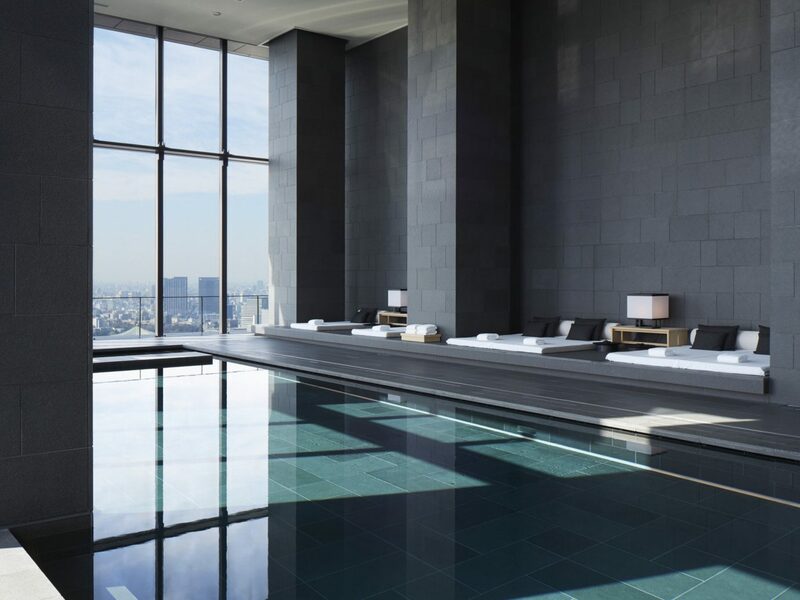 Along with offering the city’s most spacious deluxe rooms at almost 800 square feet, complete with washi paper screens and oversized furo (Japanese soaking tubs), the hotel has Tokyo’s largest hotel spa (27,000 square feet!). 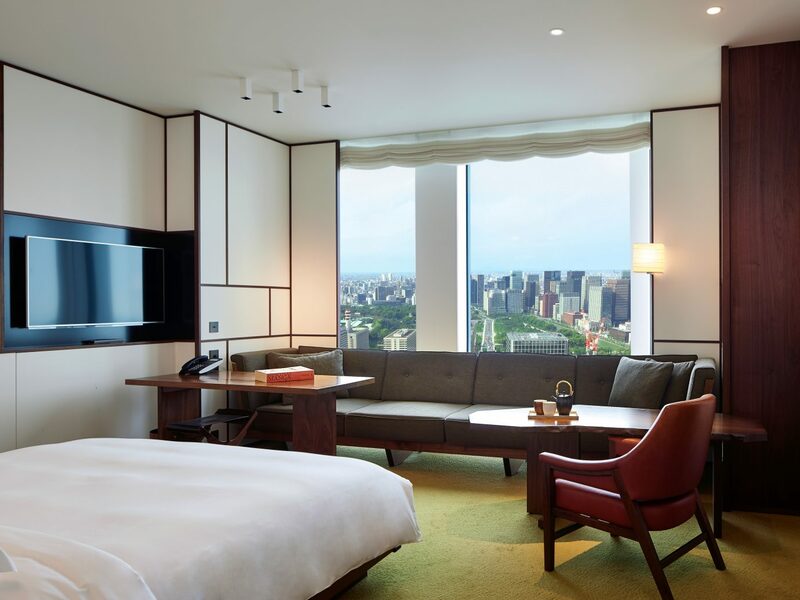 Hoshino Resorts’ Hoshinoya Tokyo is the city’s first modern ryokan, housed in a 17-story tower with a rooftop onsen (hot springs) in Tokyo’s Otemachi business neighborhood. 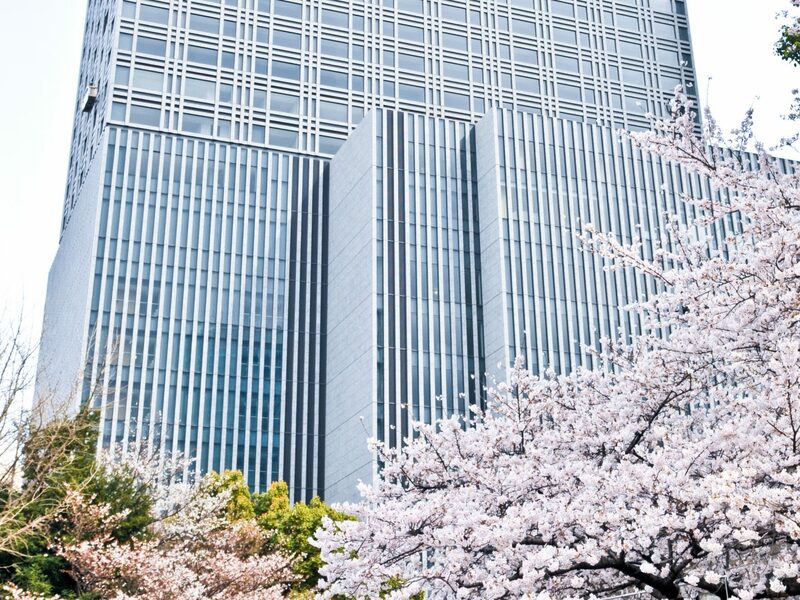 Since the property’s debut two years ago, it has quickly become one of the city’s most desired hotels thanks to its extraordinary design by architect Rie Azuma. 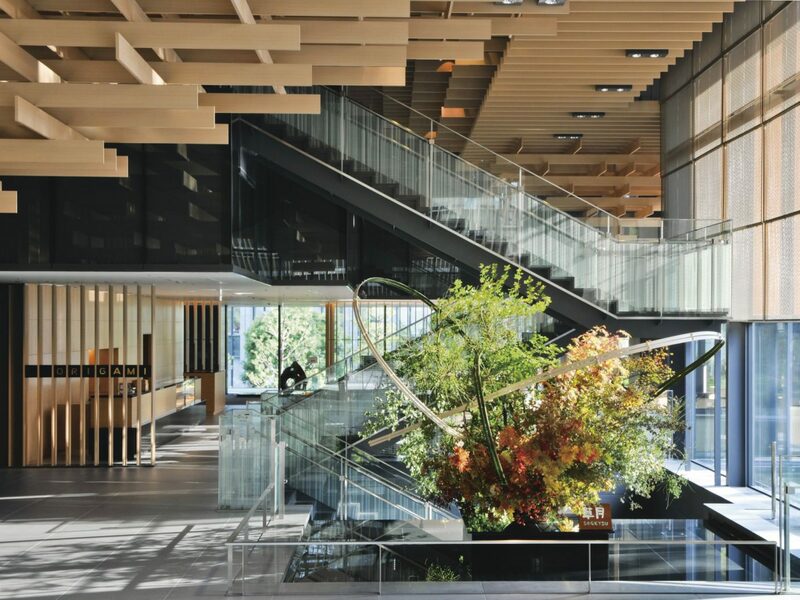 An exterior of aluminum latticework coated in black resin mimics a popular pattern from ancient kimonos, and the entire property is outfitted in traditional tatami floor mats (so guests remove their shoes after entering the lobby). 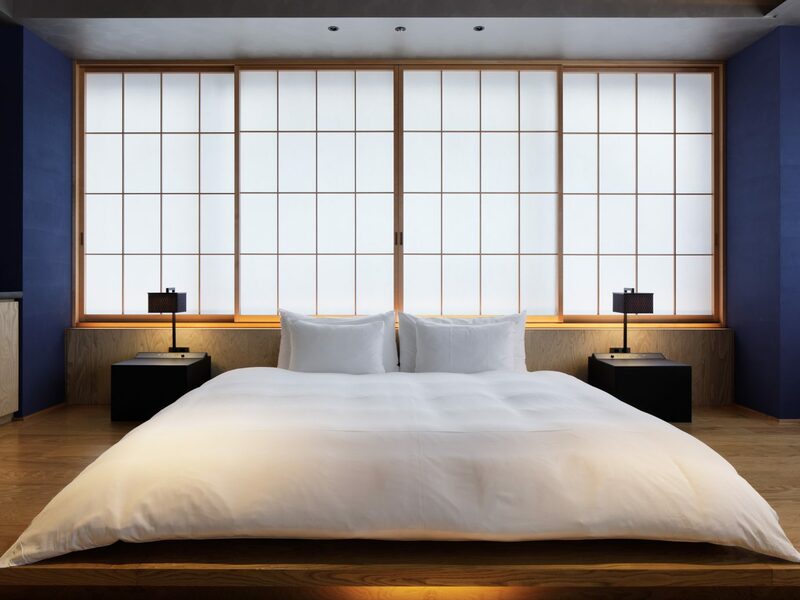 Sliding shoji screens replace curtains in guest rooms, and low-slug furniture offers a more comfortable alternative to classic futon floor mattresses. 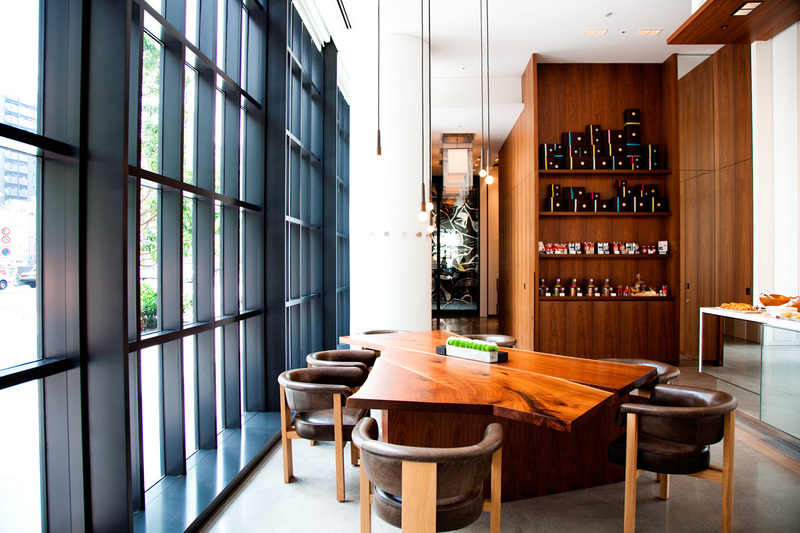 Every floor is equipped with a communal lounge filled with the best local snacks from rice crackers to green tea and sake. 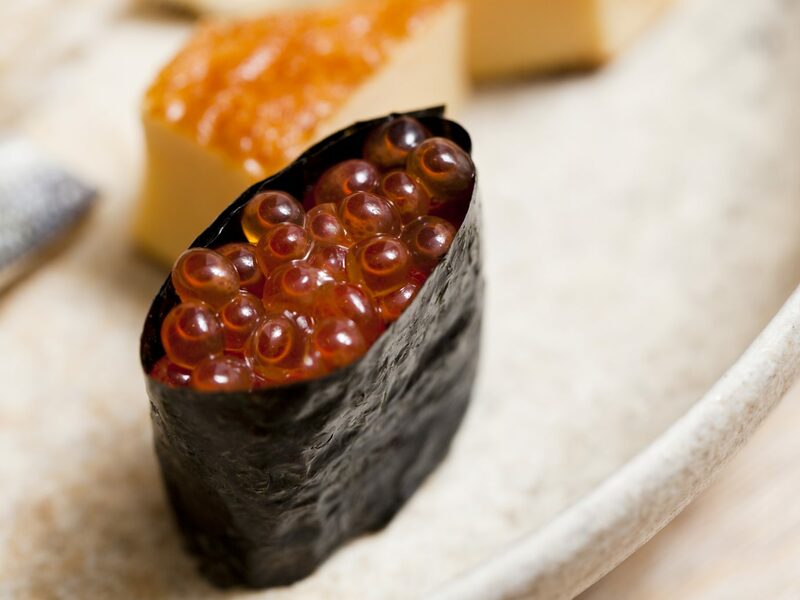 The word "claska" comes from the Japanese phrase "do-kurasuka," which means "how to live" or "how to spend your days”––the philosophy behind one of Tokyo’s very first boutique hotels. 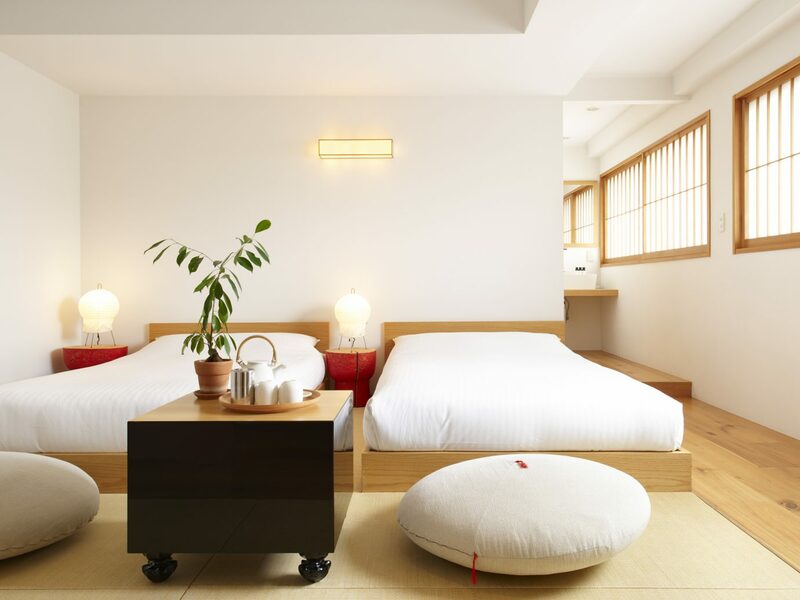 The 15-year-old Claska, in the city’s Meguro neighborhood, divides its 20 guest rooms between four styles: Modern, Tatami, Contemporary, and Story. 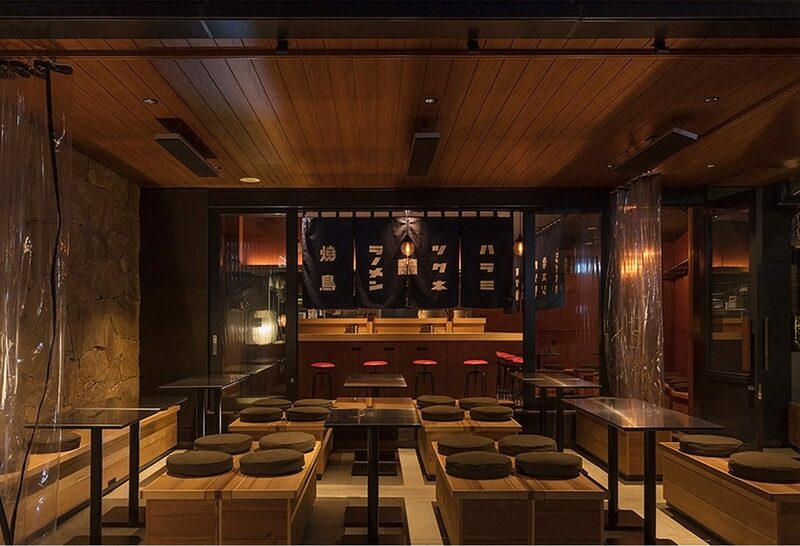 The Tatami series offers a mixed aesthetic of East and West by combining simple tatami mats and low-slung beds, bare white walls, and blonde wood for a traditional yet updated Japanese look. 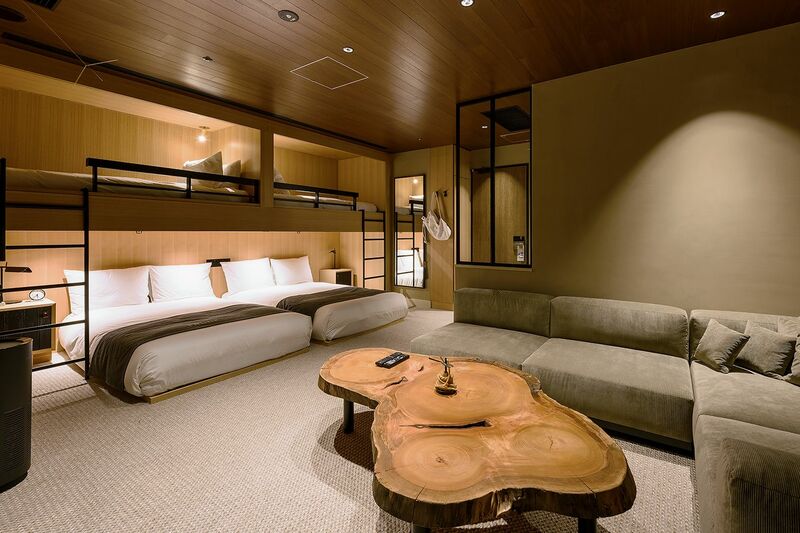 Rooms under the Contemporary series follow a similar decor theme, with spaces split between two-levels: beds are positioned on a cement floor, while the bathroom and lounge areas are higher up––representing the layout of a classical Japanese house. Don’t miss Claska’s gallery and store which vends a variety of locally-made goods like from sake cups to sneakers. 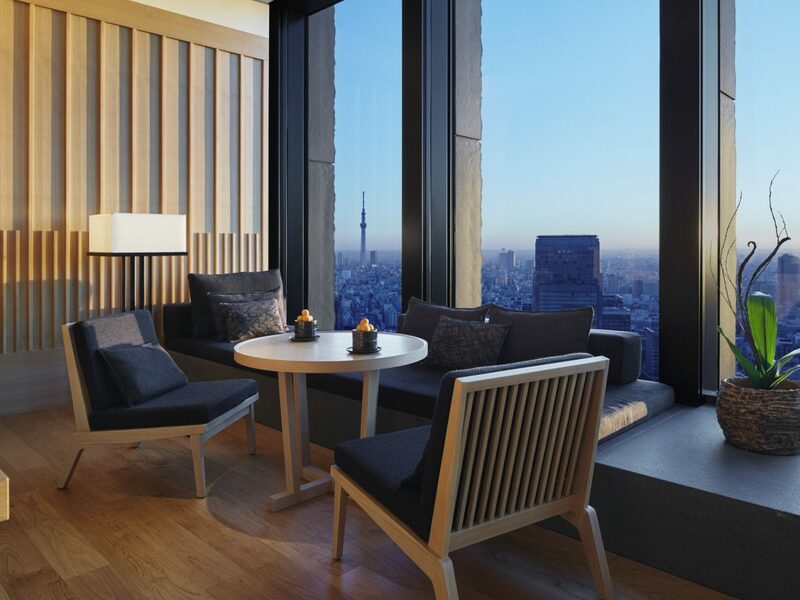 Hyatt’s boutique-y hotel brand Andaz launched its 12th location back in 2014 in Tokyo’s Minto district, spread between 164 rooms and eight suites that claim the top floors of a 52-story skyscraper. 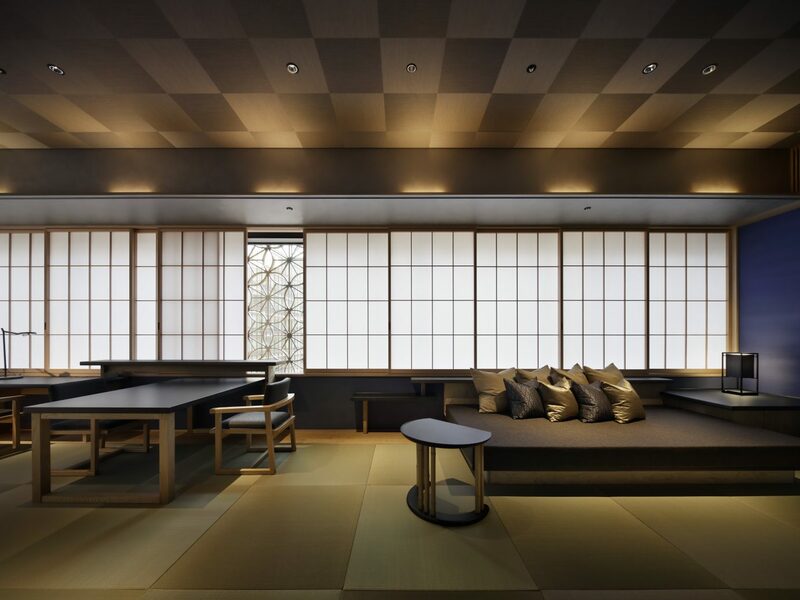 Kyoto’s Katsura Imperial Villa––a 17th century imperial garden palace––served as the property’s muse. 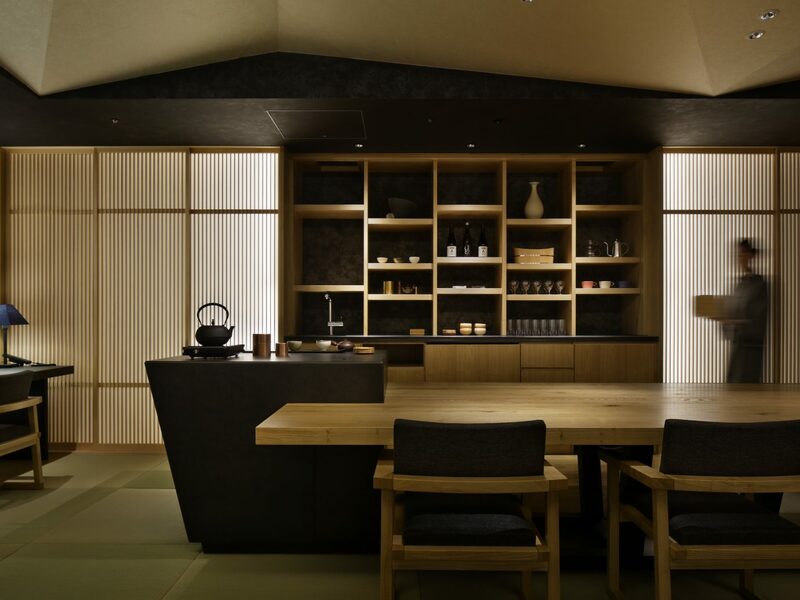 Traditional shoji walls and sliding fusuma doors divide rooms, while tree trunk-shaped tables made from Hokkaido walnut wood lend a naturalistic feel to the property’s lounge. 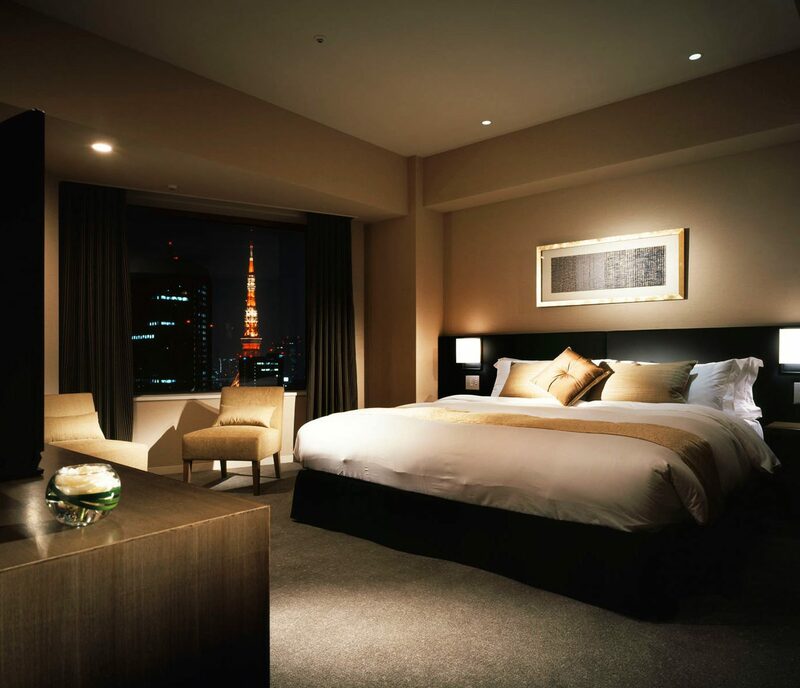 Beloved by both Michael Jackson and The Beatles, Tokyo’s old Capitol Tokyu Hotel was torn down in 2006, and four years later The Capitol Hotel Tokyu reopened in the same space under almost the exact same name. 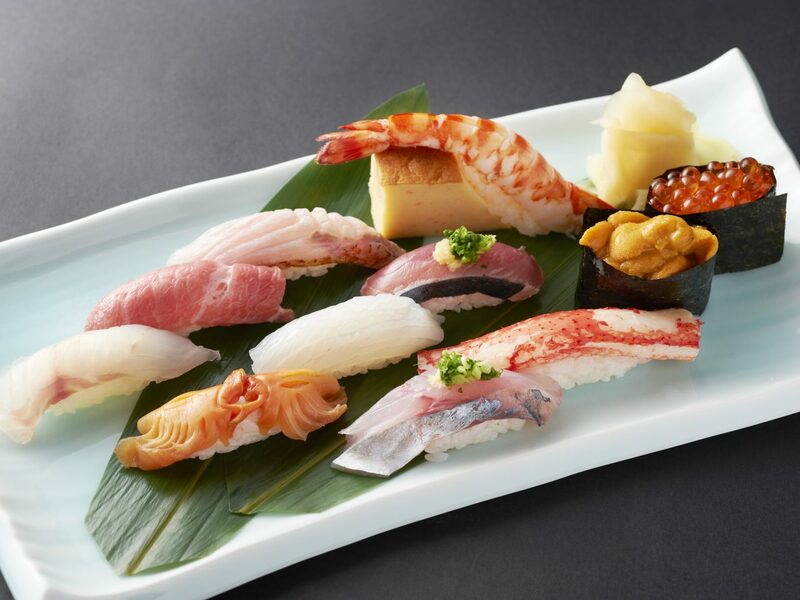 Adjacent to the longstanding Hie Shrine, the 251-room luxury property claims the top 12 floors of a building in centrally-located Akasaka (the entrance, lobby, and restaurants are on the first three floors), with a traditional meets contemporary aesthetic. 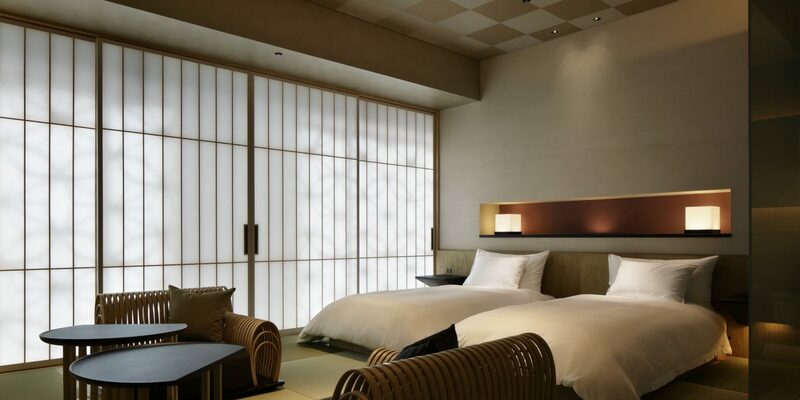 Sliding fusuma screens divide living areas within guest rooms; carpets have designs of lapping water; and bamboo accents are everywhere. 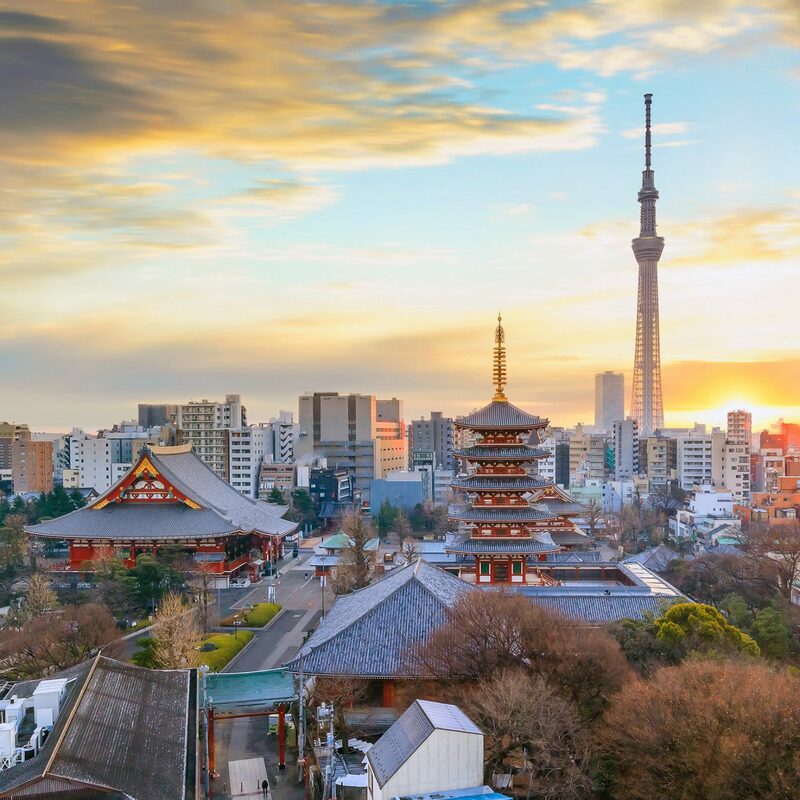 For a city as design and artisan-focused as Tokyo, it’s surprising that boutique hotels are a newer phenomenon. 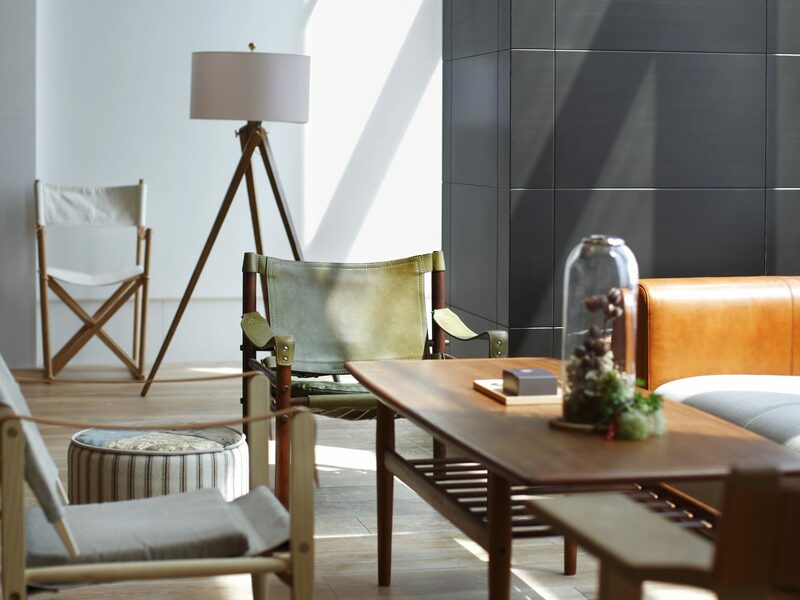 And TRUNK, within the city’s hip Shibuya neighborhood, instantly became the place to stay following its debut last spring. 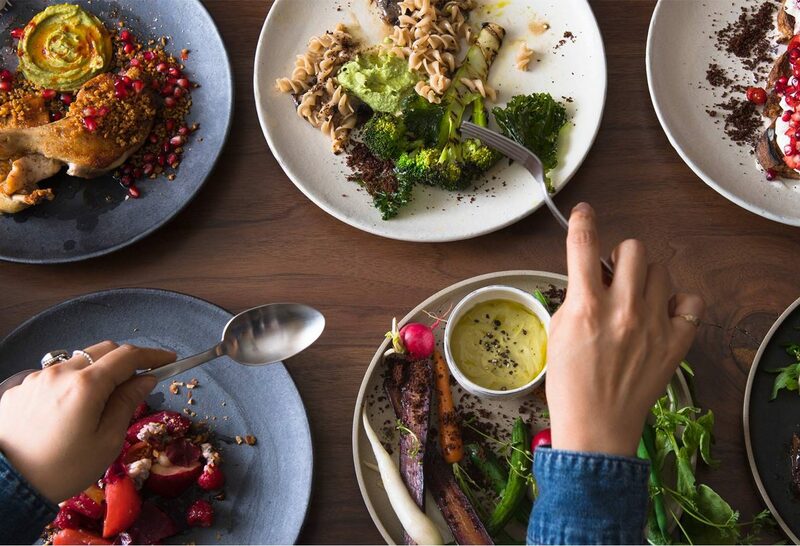 The cozy 15-room sleep strives to be a community-oriented hub, with its perenially-packed ground floor lobby. 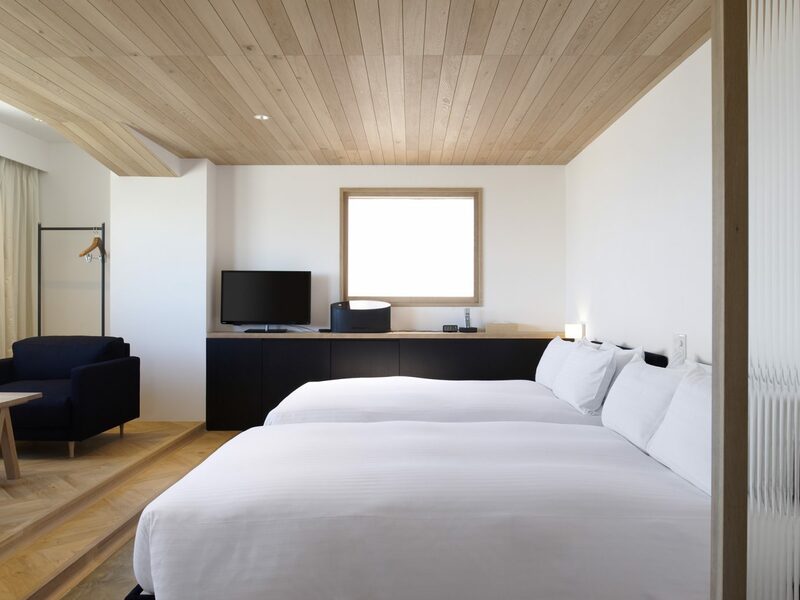 The property celebrates Japanese craftsmanship, collaborating with local producers on everything from in-room bath products to soda and craft beer. 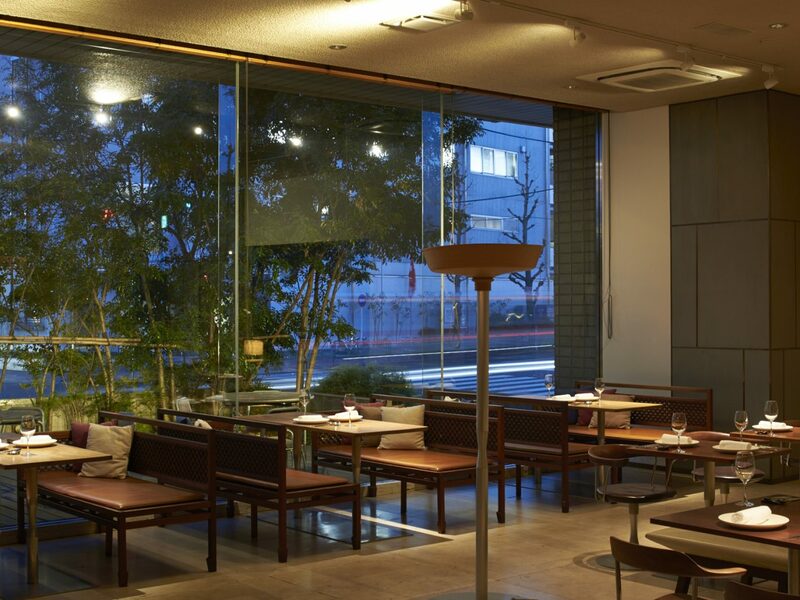 Natural and upcycled materials like stone, wood, glass, and iron fill the public spaces while rooms have bed boards made from recycled wood from old Japanese homes and washi paper and edo kiriko (traditional glassware) serve as decorative art.